Great to use for group activities, or just to have on hand for all of your crafting needs! 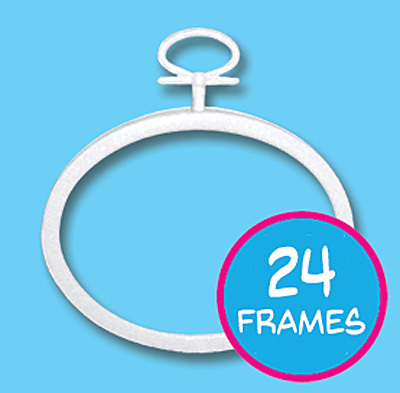 This Value Pack includes 24 White Horizontal Mini Just-A-Frames that measure 2.75 by 2 inches , and are great to use to frame projects, use as ornaments and much more! Cardboard backing not included. Click here to see all of Janlynn's Bulk Packs!